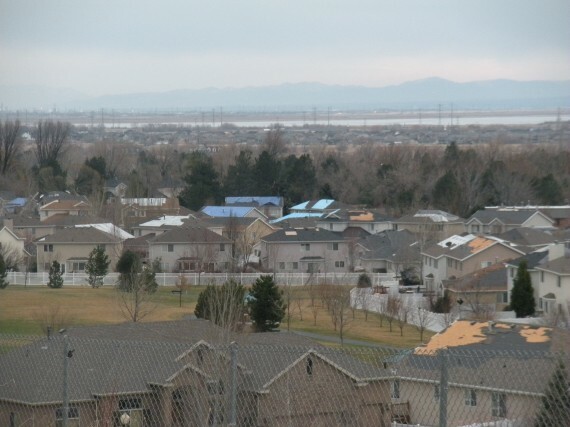 Other cities besides Kaysville had windstorm damage. 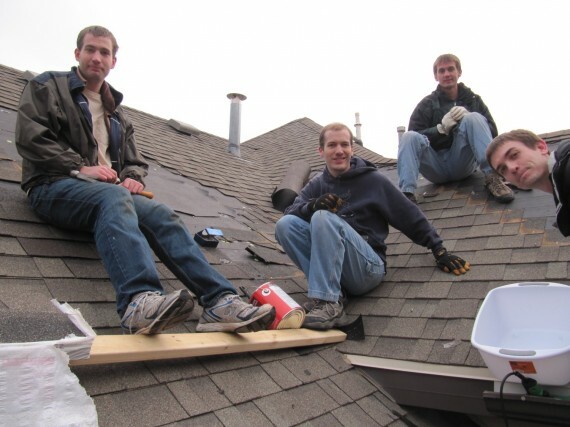 Over in Layton my son Steven had his brothers helping to replace lost shingles. I stayed on the ground in a support role, fetching tools, bringing hot chocolate that Adelaide made, and picking up all the broken shingles scattered all over the lot. 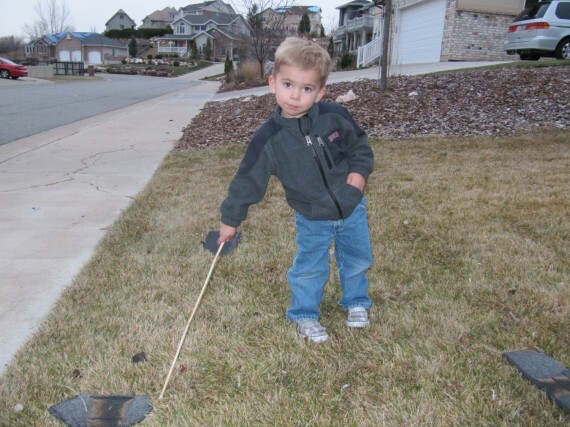 My grandson Bryson helped by pointing with his stick to each piece of shingle and saying, “That one there, this one there, Grandpa.” Over in Farmington, my daughter Sarah, snapped some photographs of Heritage Park from the Frontage Road. 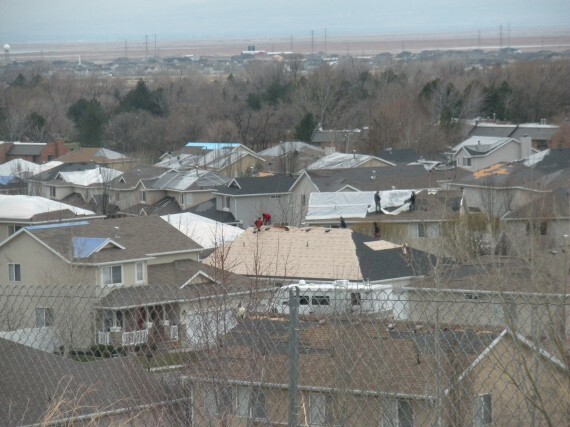 She was driving past and was struck at the sight of all those tarps. Bryson supervises the cleanup. 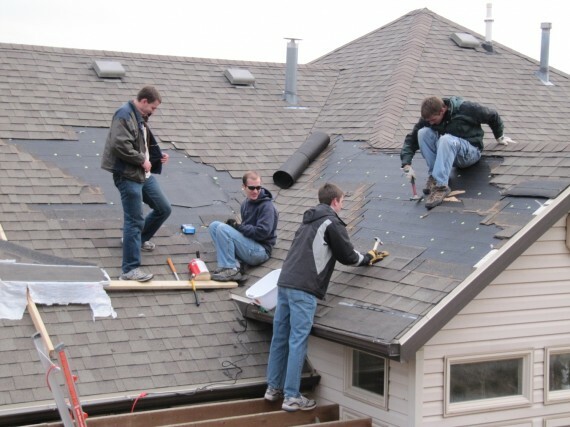 Grandpa you missed one!